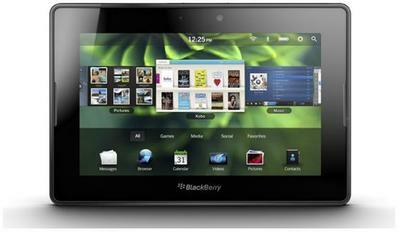 RIM has today taken measures to ensure that no one has a BlackBerry PlayBook tablet on their wish-list this Christmas by announcing that it is to delay the release of its PlayBook OS 2.0 software until next year. And that’s not the only bad news: when it does finally arrive, the update will not feature the company’s popular BlackBerry Messenger service. The update, which is expected to either make or break the company’s debut slate, includes a number of new features that users have been waiting for since the device’s release in April, such as a native email client, support for calendars, and the much-anticipated Android App Player. A developer beta of the PlayBook OS 2.0 update was first revealed at BlackBerry DevCon earlier this month, and we all expected to see its public release before the end of the year. The company has, however, release the Gold Master of the native SDK to developers, which will allow them to begin porting their native apps to the PlayBook platform. If I was a BlackBerry PlayBook user, I’d be pretty disappointed right now. RIM has, in my opinion, been far too slow at introducing these much-needed features that its tablet should have had from day one. The device was been labeled “half-baked” by David Pogue of The New York Times in his review back in April, and six months on, RIM has done very, very little to improve it. Not only does this send out a bad massage to existing PlayBook owners, but it will also encourage tablet users to avoid any tablets from RIM in the future. You can tell I’m pretty frustrated with RIM — and I’m not even a PlayBook owner — so how do you feel about the decision?